I have just returned from a train trip from London to Barcelona. What a wonderful city – full of surprises. 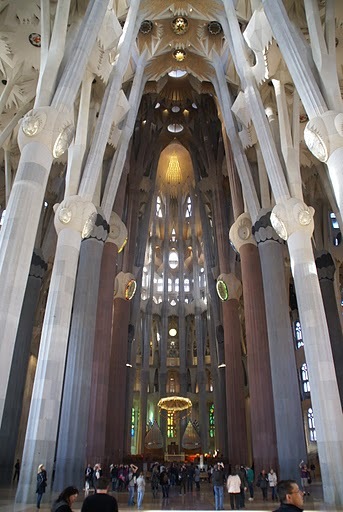 Not least, Antoni Gaudi’s extraordinary basilica, La Sagrada Familia. Gaudi started his mammoth building project in 1883. Following his death 40 years later at the age of 72 (he was hit by a tram), the city took on the challenge of finishing his dream. The stunning interior was only completed in autumn 2010. 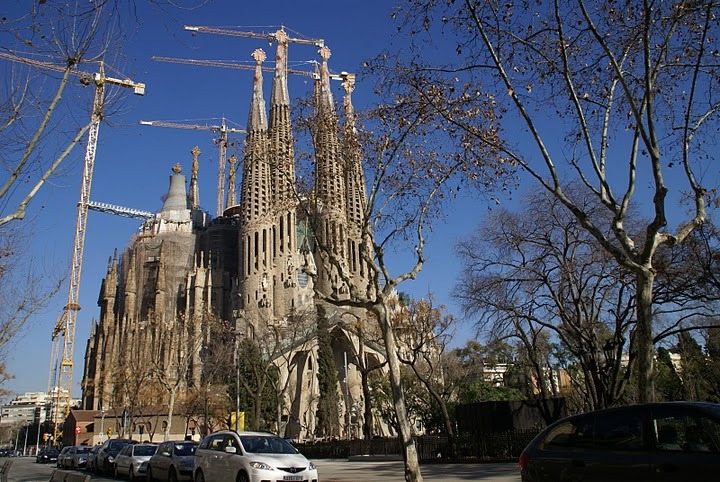 It will be 2026 before the gigantic central tower on the roof and a further four steeples are added to complete Gaudi’s life-journey and passion for taking man to meet God. I experienced such a sense of wonder as I entered the Cathedral that for a few moments I forgot my aching bunions, and believed I had been transported into J.R Tolkien’s elfin world of Arda. It stirred me to take a seat in front of the altar and reflect on something that had caught my eye in the Maritime Museum earlier in the day. Inscribed on a wall was a poignant reminder of what the true essence of a journey really is. Each expedition we make should help us to understand and appreciate nature and those people we encounter along the way. This enables us to bring back a piece of the jigsaw, which fits into our overall picture-puzzle of the world. Therefore, all our excursions, whether months, weeks, a few days, or even a few hours, present us with an opportunity to learn something more about who we are, and to become better people for it. The next display was a board inviting tourists to write about a voyage they would like to undertake. Most had written down exotic destinations, such as the Seychelles, the Maldives, and Thailand. Reading these cards made me realise how removed we have become from the actual journey itself. We fly to whatever location we choose, lie in the sun, and then fly home. But do we learn from those we encounter? Does our life change because of what we see, touch, smell and hear? Do we become a better person? Judging from a harrowing exhibition within the museum (a journey in itself) of how the Mediterranean has been raped of its fish stocks, I fear not. The damage we have done to this intricate eco-system is just an example of how we have ceased to learn from the ‘breaks’ we now take. But here in the basilica, sitting amidst throngs of people and flashing cameras, I felt a sense of peace. The world, I realised, is on its own journey. 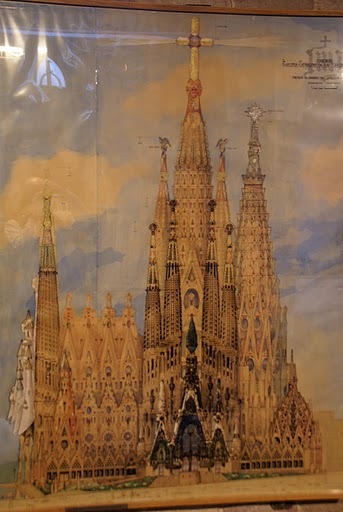 Somehow Gaudi knew that, and captured it beautifully, as you can see from photograph of how he imagined his creation to look like when completed. So my piece of jigsaw I have brought home is the awareness that we live in an increasingly unpredictable world that humanity – not God – has created. But we can still be moved by the presence of something greater than ourselves. It is this that I hope will sustain us as we are forced to face up to the devastation we wreak upon this planet, and upon each other. This entry was posted in About Sue, All posts and tagged ageing, Barcelona, death and dying, Eurostar, Gaudi, God, Sagrada Familia. Bookmark the permalink. ← Does belief in life after death really matter?